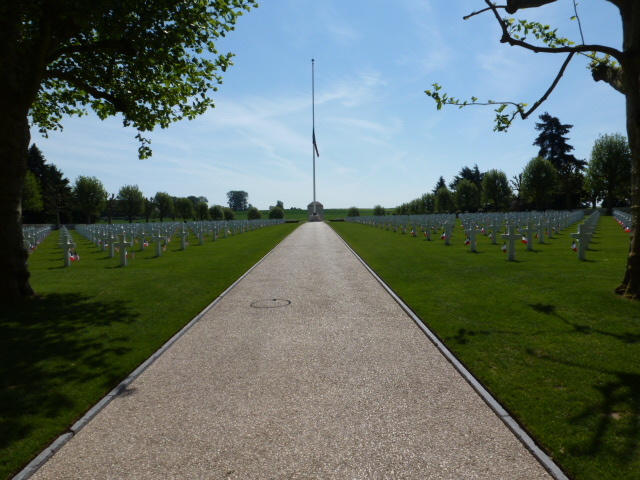 On this Memorial Day Norm and I traveled northeast of Paris to visit a cemetery hidden in the hills near Bony, France: The Somme American Cemetery and Memorial. 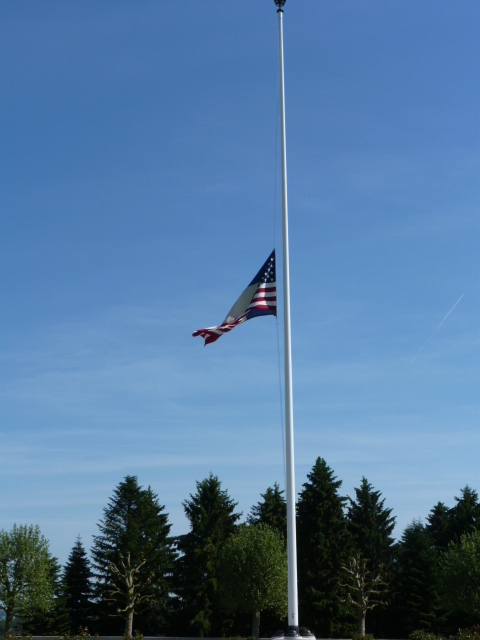 The American and French flags flew side-by-side and at half-staff on this day of memory. reminding us why these men and women lie here. 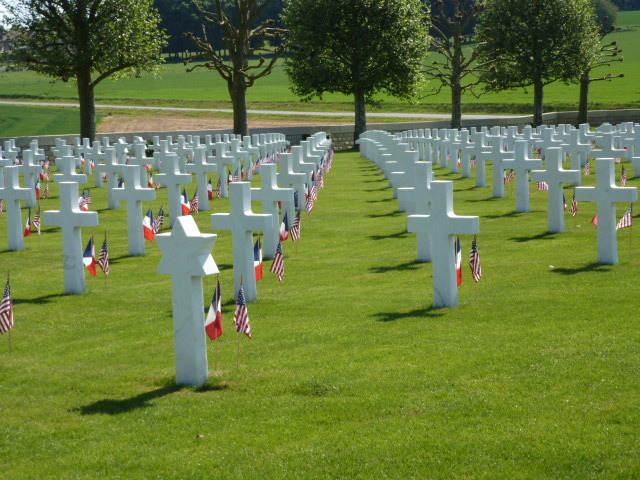 Each grave was graced with the flags of the two countries – France, where they fell; and America, their patria. One thousand eight hundred forty-four rest here. its toll on us, and the eventuality that we all face. One hundred thirty-eight repose with unknown identities. I want to know who they are. Every one of these brave souls was a mother’s child. Their mothers – they are who come to my mind when I gaze upon the headstones of these mysterious fallen. There are three Medal of Honor recipients buried here, such unbelievable heroism. 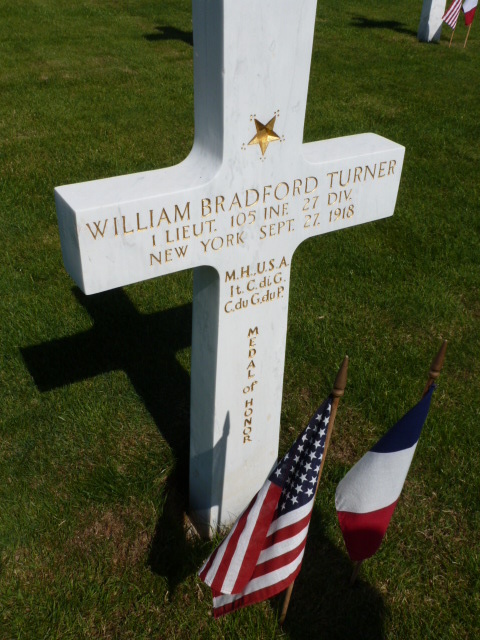 William Bradford Turner was only twenty-five years old when he died. 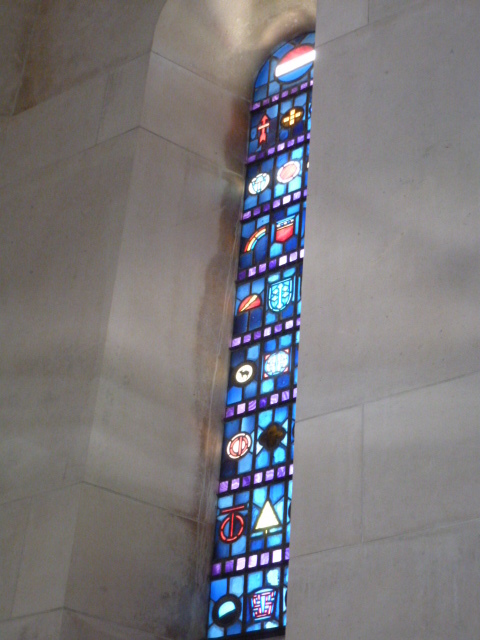 The chapel was erected in the honor of all those buried here. 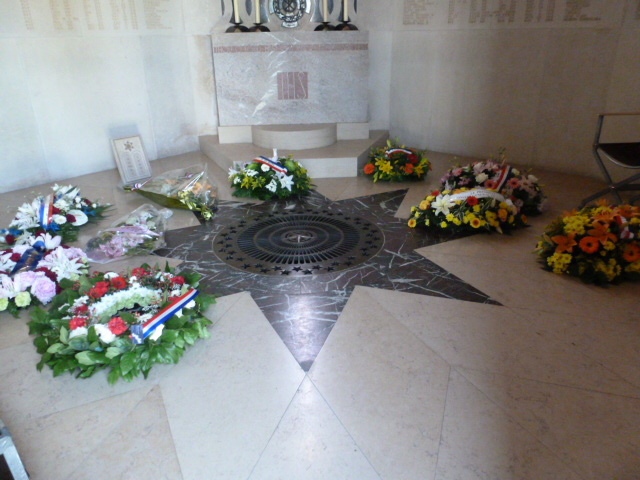 Today it housed the wreaths which would be laid for them during the Memorial Day ceremony. 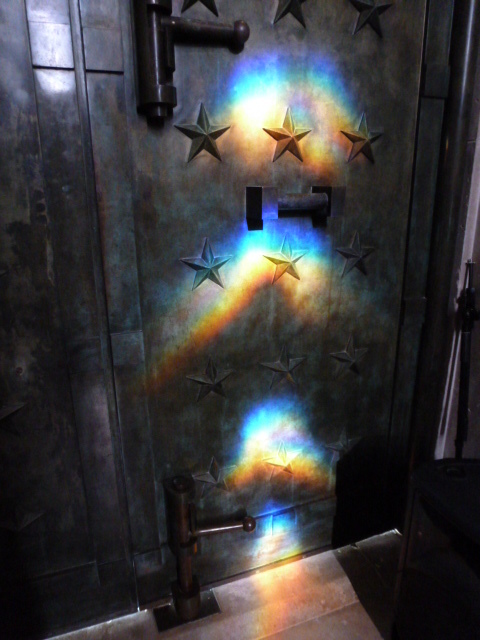 …and were reflected off the iron door. was the least they deserved on their day. 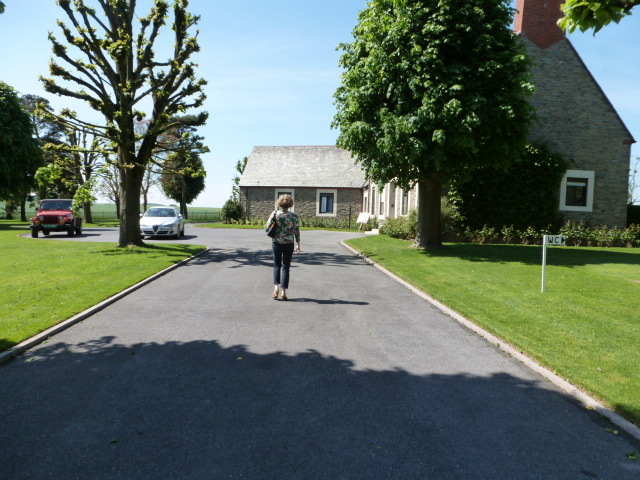 After visiting the chapel, I continued walking down the rows of soldiers and civilians. I found one valiant man from my beloved Louisiana. If anyone can tell me his personal story, I would be much obliged. 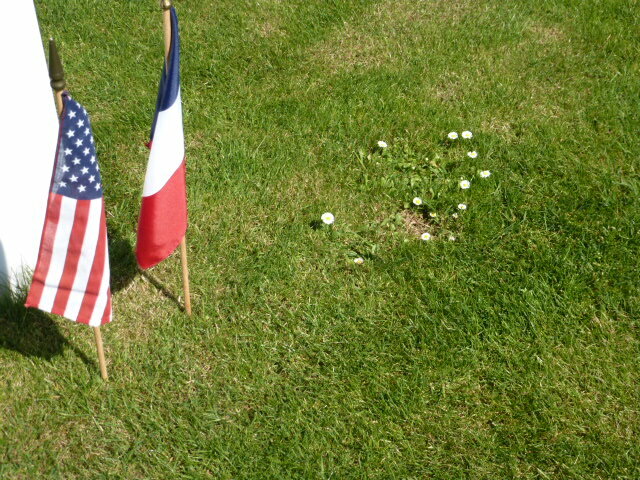 some flowers growing next to Pvt. 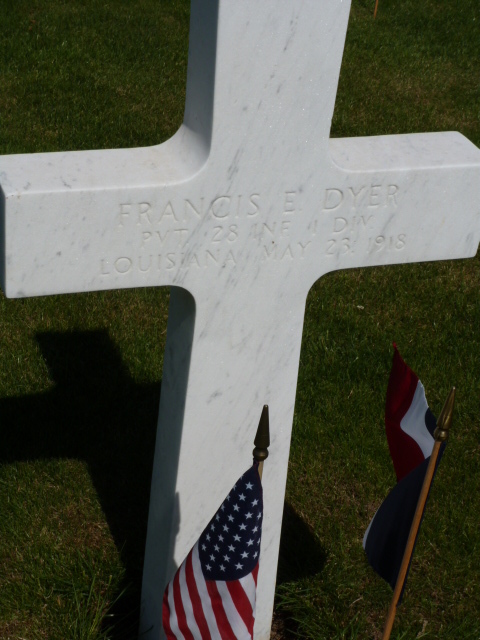 Dyer’s resting place. Hope pops up everywhere, and sometimes when you least expect it. 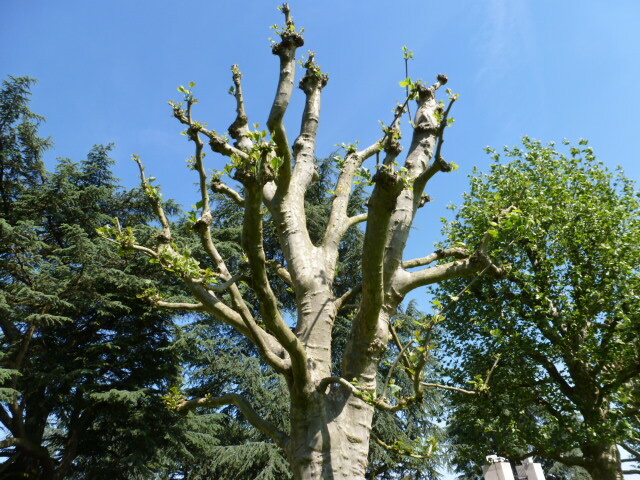 could not hold back forever its spring foliage and the promise of life renewed. 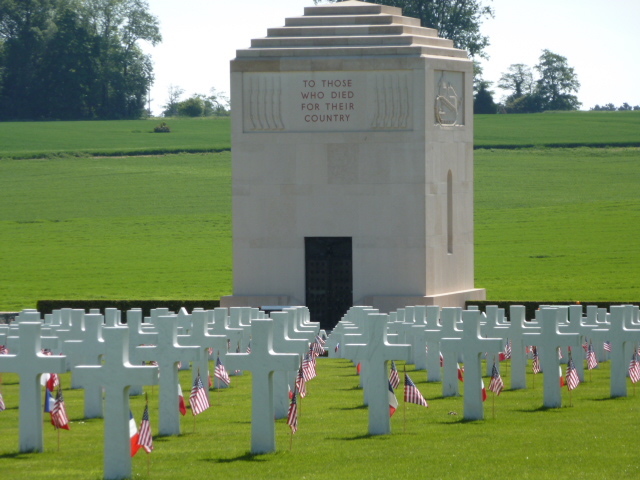 After strolling through the rows of soldiers, I turned to look back. 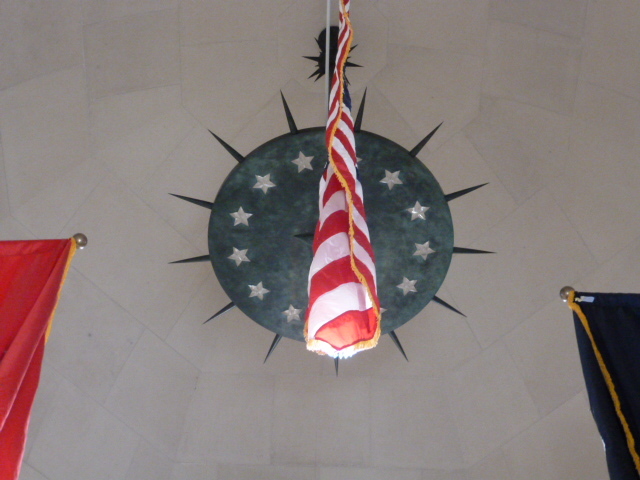 where the war is over and peace reigns in perpetuity. 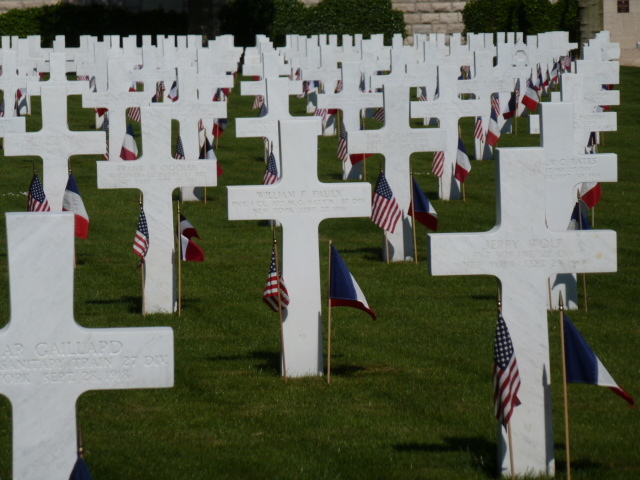 and our heroes’ sacrifice was not in vain. 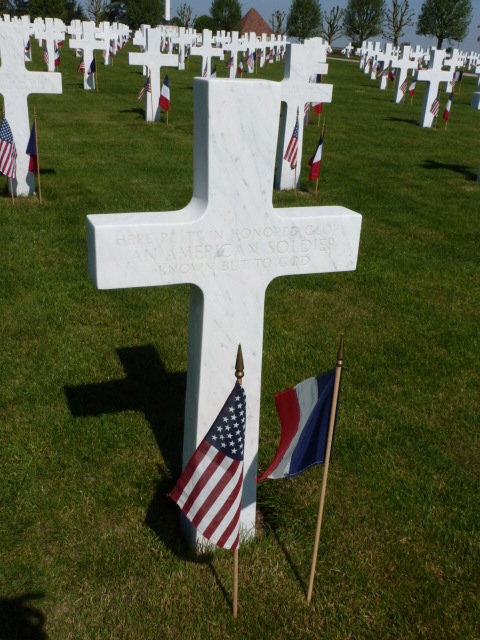 to reflect on the freedoms I enjoy that were paid in full by them. Thank you so much. 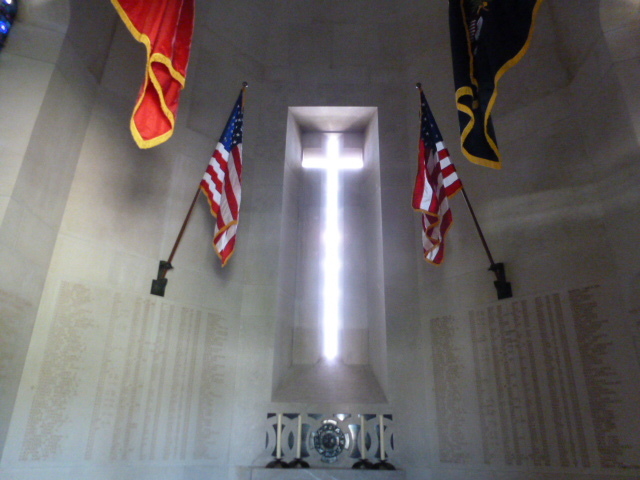 I was one of the Soldiers there to commemorate on that day. Your words mean a lot, and they show that the sacrifices of the past still hold meaning for the future generations. Lovely. thank you for sharing that with us. Looks like it a beautiful place for quiet contemplation and reflection. Thank you so much for this post. I love visiting meaningful places like this when I’m traveling. 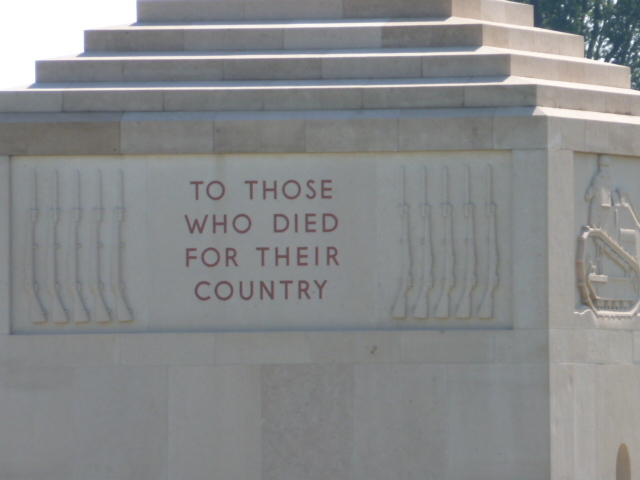 I spent a day on the Flanders battlefields last year, and it was one of the best traveling days I’ve ever had. 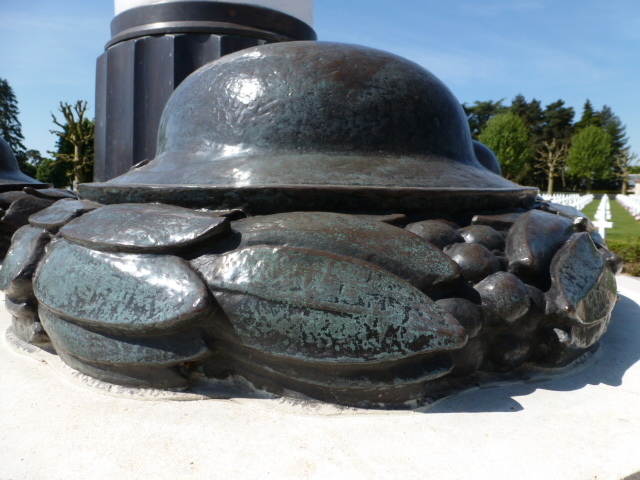 I’ve not visited the Somme but your post made me feel like I was there.